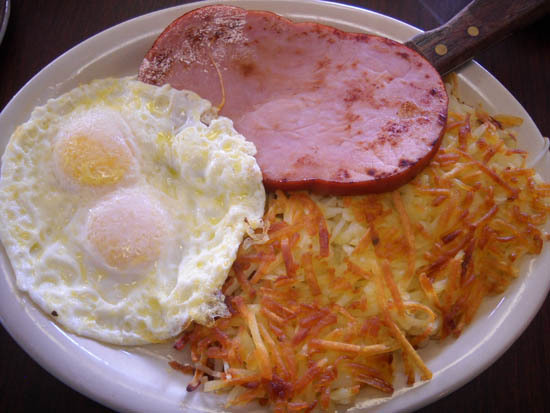 Ham & Eggs Religion | ". . . let God be found true, though every man be found a liar." From time to time we hear or read someone’s lament over the decline of the church. Christians who grew up in the mid-20th century recall church buildings filled to overflowing and great evangelistic campaigns that resulted in hundreds of conversions to Christ. Since that time, however, researchers have documented a steady downward trend in the numbers of Christians. In some places where the church was once strong, there are today few, if any, congregations and those that exist are small and struggling. In response to this phenomenon an entire field of religious study, called church growth, has evolved over the last half century. Church growth experts have offered many theories on why church attendance has declined in recent years. They have also offered many ideas on how to reverse this trend. The result of these efforts is the current consumer-driven approach to Christianity that is so popular in many places. While the merits and biblical basis for most church-growth theories may, and should be, seriously debated, there is one thing that is missing in them. It is the question of commitment. Most theories focus primarily on the superficial elements of church attendance. Is the worship place comfortable and inviting? Is the service itself appealing? Is the preacher dynamic, and his messages encouraging and uplifting? All these things are factors that may draw or repel attendees, but they do not address the heart. This is the issue in a nutshell. Too many professed believers are like the chicken. They want to make a contribution, but they are not willing to give total commitment to their professed faith. There may be many reasons why this is the case, but the greater point is that the decline of the church is directly attributable to this factor. We have contented ourselves with the idea that placing money in the collection plate each Lord’s Day fulfills our duty as Christians. As a result we have become virtual spectators in kingdom work. It was not this way in the earliest days of the church. In Acts 8:4, when Christians fled Jerusalem because of persecution, Luke says that they went everywhere preaching the word. These early Christians understood that faith in Christ required them to personally participate in the spread of the gospel. They were not just adherents to Christianity, they were fully committed to it. This is the often overlooked secret to the explosive growth of the church in the mid-20th century. More Christians were personally committed to teaching the gospel to their friends and neighbors. However imperfectly they may have done so, they were at least willing to do what they could. Too often today we leave this work to the preacher, or to the paid personal worker. While it is true that our monetary contributions each week make us participants in the work of the kingdom (cf. Phil. 1:5), it is also true that each of us has a personal responsibility in kingdom work. The Great Commission is for all Christians, not just for preachers. We need to stop being content to be chickens in the Lord’s work. We need to become pigs. When we are totally committed to faith in Christ, the church will once again begin to grow.